Louis Tomlinson is a reluctant pop star. Though he once ruled the waves as one fifth of global sensation One Direction, since the group’s split, he’s been somewhat at sea. His solo output thus far hasn’t been bad, but it’s felt forced and – ironically – directionless. Listening to Louis Tomlinson as a solo artist, it’s hard to escape the nagging feeling he’s only doing this because he has to. New single ‘Just Like You’ only reinforces this assumption. An introspective mid-tempo track, it has Tomlinson indulging in a bit of self-pity, assuring the penniless, unwashed peasant-listener that despite his status, he is, in fact, just like them. Hearing a mega-rich, uber-successful pop star complain about their privileged life is always going to be a grating listen. On ‘Just Like You’, Tomlinson humble-brags about cash, cars and parties that cost £10K, all the while assuring us that the pop star lifestyle isn’t all it’s made out to be. If it were up to Louis, he’d be having a “pub lunch every Sunday” along with lots of “cheap beer”. Why he can’t have these things is anyone’s guess, but surely there are plenty of cash-strapped 25 year-olds who’d love to trade places. But we shouldn’t be too harsh on Louis. It’s well-known that the pressures of being rich and famous – particularly at such a young age – can be horribly life-changing, and there’s no doubt Tomlinson has been through the mill a bit, having had his personal life turned into headlines and his every move pored over by the ravenous British press. In this sense, ‘Just Like You’ is reminiscent of Britney Spears’ self-referencing hit ‘Piece Of Me’, in which she slated the media for turning her life into a circus. The difference is, though, while ‘Piece Of Me’ employed snappy, intelligent lyrics along with on-trend electronic beats, ‘Just Like You’ is a rather stale pop track, a plodding, largely tuneless dirge. There’s also something fairly patronising about Tomlinson’s constant assertion that “I’m just like you.” I mean, we know, Louis. You’re not Kanye West. As we saw in the video for his last single, the Bebe Rexha-featuring ‘Back To You’ in which he hung out in dive bars and frolicked around Doncaster Rovers’ football ground, he’s not exactly on another planet. Of all the One Direction boys, Louis is undoubtedly the most relatable. Though it’s quite a ham-fisted attempt at a fame-is-not-that-great track, there’s something very authentic, very earnest – essentially, very Louis – about ‘Just Like You’. It’s almost a cry for help, Tomlinson admitting to feeling sad and aimless despite having the world at his feet, and it’s hard not to feel real pity at the closing line “If you only knew”, Tomlinson sounding earnest and borderline desperate before the track comes to a prompt end. 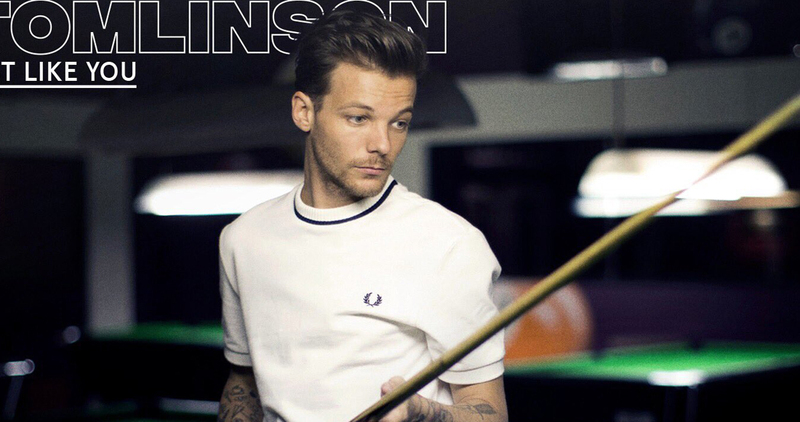 ‘Just Like You’ confirms what we’d expected all along, that Louis Tomlinson’s heart isn’t really in this pop malarkey any more. He’s doing a solo album because he feels he should, because his former bandmates are, because that’s what you do when you’ve been part of a world-dominating pop group for the last six or so years. But Louis would be happier at home with his girlfriend, eating Yorkshire puddings for breakfast and taking his son to see Donny Rovers play at the weekend. It feels like the life he wants, and it’s a life he could surely have if he stopped forcing himself to play the pop star.